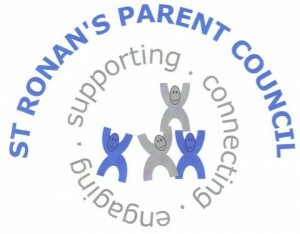 The Parent Partnership is a group of around 10 volunteer parents who have children at St Ronan’s Primary School. We came about as a result of the Scottish Schools (Parental Involvement) Act 2006, which gives parents the right to receive information about their child’s education and to be represented and share views. Initially known as the Parent Council, we renamed ourselves a Parent Partnership in 2015. A key part of our role is to work with parents to help them connect with the school, and to express their views about the school and Scottish Borders Council proposals. You’ll find more information about our role on the Education Scotland website. The Parent Partnership is open to every parent or carer of a child/children at St. Ronan’s and we welcome all parents at our meetings. We meet on a Monday approximately every six weeks during term time, along with Keith Belleville and staff representative Aileen Borthwick. See the school calendar or the school newsletter for the dates of the next meeting. Minutes from previous Parent Partnership meetings can be viewed on this website as can our constitution. Who are your Parent Partnership? To get in touch with St Ronan's Primary School Parent Partnership, please complete this form and we'll get back to you when we can.